• Apoka rest Camp for Budget Kidepo safaris. All our safaris provide options so that all our clients intending to undertake Kidepo tours can make their own choice out of the provided Kidepo Safari Lodges. Kidepo Valley National Park has very few Lodge options and as such, all those interested in visiting Kidepo National Park have to stick to only three options. Kidepo Lodges include Apoka Safari Lodge which is by far the most up market accommodation in the Park, Ngamoru wilderness Camp for Mid range and Apoka Rest Camp or UWA Bandas for Budget option. Kidepo Lodges of Apoka safari Lodge and Apoka Rest Camp are located inside the National Park while Ngamoru Wilderness camp is located outside Kidepo valley National park. For details about Kidepo Lodges, kindly click below on each lodge. Apoka Rest Camp is one of Kidepo Safari Lodges and is commonly referred to as UWA Bandas is centrally located at Apoke UWA headquarters. 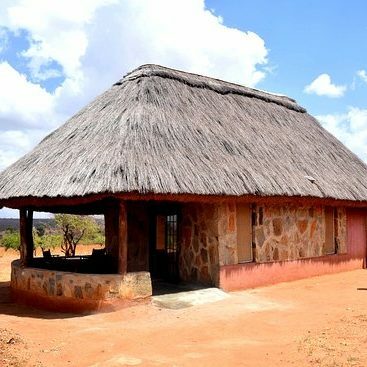 This budget facility is owned and run by Uganda Wildlife authority and is the only descent low budget accommodation in Kidepo Valley National Park. Apoka Rest Camp has both self and non-self-contained bandas from where tourists can choose to stay. While planning to stay at Apoka Rest Camp as your Kidepo Safari Lodge, you are reminded to carry your own food supplies which should then be handed to the resident chef. Apoka rest Camp has a kitchen and as such their chef will prepare your meals according to food supplies given to him. Apoka Rest camp also has a small bar where soft drinks and beers are offered at affordable prices. Those with their own camping gear can also camp at Apoka. Apoka Rest Camp is strategically located Narus Valley for game drives, nature walks and scenic viewing where animals such as lions, large herds of Buffaloes, zebras and many others can be seen in this valley. For those interested in viewing wildlife on foot, Apoka rest camp provides the best option among all Kidepo Safari Lodges since all ranger guides stay closer to the camp. Among Kidepo Safari Lodges is Ngamoru Wilderness Camp which is a mid-range accommodation property that one can choose to stay in while in Kidepo Valley National Park. Situated on a hill, Ngamuro wilderness Camp has stunning views of the park and animals often visit this Lodge. This lodge has been described as a place where you come as a visitor and leave as a friend. Ngamuro wilderness Camp has both Cabanas and Thatched tents for accommodation. All cabanas and Thatched tents are self-contained with en suite bathrooms/tabs to ensure privacy. Located at the boarder of Kidepo Valley National Park, Ngamoru Wilderness Camp is about fifteen minutes’ drive to the park gate and about twenty minutes to Narus Valley where game drive activities, nature walks and scenic viewing takes place. 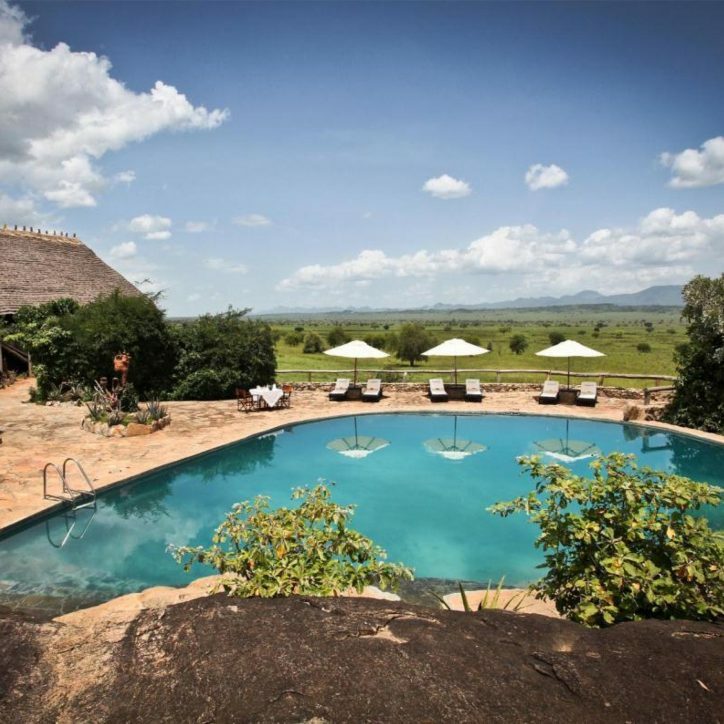 The lodge is also located about forty two kilometers from Kidepo valley for those that wish to visit the Uganda South Sudan boarder, hot springs and try their luck with Ostriches. Ngamoru wilderness camp provides accommodation on full board basis and due to the fact that it is located in the wilderness of Kidepo Valley National park, the lodge uses solar for lightening. Due to the few tourists that visit Kidepo valley National Park, the camp only operates when they have visitors and closes when they do not have visitors. You therefore need to contact Africa gorilla vacations to place your booking in time to enable lodge management to organize for your stay at the Lodge. For those looking for a descent Kidepo Safari Lodges to stay in while at Kidepo valley National Park, Ngamoru wilderness camp is not only an option but the best alternative. Africa gorilla vacations organizes both driving and fly in safaris to Kidepo National park and offers advice on how to choose the best accommodation option. Visit Kidepo valley National Park with Africa gorilla vacations by choosing from our sample packages or contact us for a tailor made safari. Located at the boarder of Kidepo Valley National Park, Ngamoru Wilderness Camp is about fifteen minutes’ drive to the park gate and about twenty minutes to Narus Valley where game drive activities, nature walks and scenic viewing takes place. 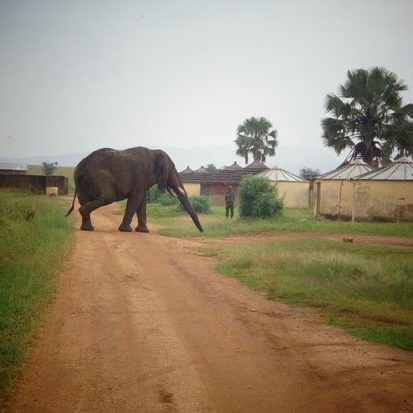 The lodge is also located about forty two kilometers from Kidepo valley for those that wish to visit the Uganda-south sudan boarder, hot springs and try their luck with Ostriches.